Original source A Place in the Sun website. All rights reserved. What is it that makes Spain so special for you, and what type of property were you looking for? I’ve always had a special place in my heart for Spain, I even tried (unsuccessfully) to persuade my parents to buy there in the 90s! It probably all stems from my happy memories of holidays to the Costa del Sol in the late 1980s. Although it had a reputation as a ‘little Britain’ even then, but it still drew me back again and again. It wasn’t just the coastal area that I fell in love with either, the whole of Andalucía seemed to be perfect for me. 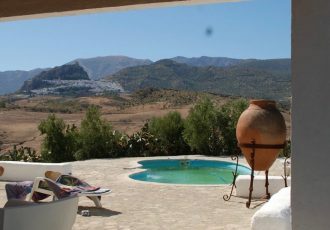 Once I had paid my mortgage off my UK home, I was determined to start looking in the small town of Olvera in Andalucía. It was so picturesque and the properties were well within my budget. I wanted a townhouse property with outside space and some nice views. A big part of moving to Spain is obviously the climate which makes being outside a lot more appealing than in the UK. I wasn’t overly fussed about space and finish because one bedroom was sufficient for my needs, and I was happy if the property needed a bit of work – just not too much. Essentially I wanted a place of my own to visit for long weekends or longer holidays, on my own and with friends. A bonus aspect would be a property that was suitable for short term lets too, as this would help cover some of the bills. And the chance to experience real Spanish life in a proper Spanish community, not in an urbanisation full of ex-pats, was equally important. I didn’t want to find myself in a town where I could hear more people speaking English than Spanish. That’s quite the list! Did you manage to find something that ticked all of those boxes? It took a while but I finally found a small townhouse with one bedroom that was on the market for £55,000. It seemed to fit perfectly with what I was looking for and wasn’t far away from a few nice bars, a supermarket and a local pool. Its two outside terraces were a huge selling point because they offer fantastic views of the town and surrounding countryside. They are fantastic to catch some sun. Fortunately, the buying process itself didn’t take all that long and seemed to be much simpler than in the UK. 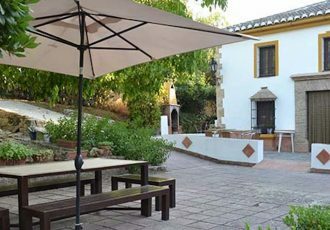 Apart from relaxing in the sun, how did you spend your time in Olvera? 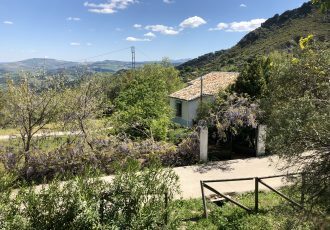 It was never difficult thinking of something to do, there are some fantastic local walks into the stunning Andalusian countryside, and plenty of great restaurants where I could practice my Spanish and make friends with the locals. Not to mention joining in with the amazing local fiestas which make the whole town come alive! And I can always relax in the sunshine with a good book on my terrace. You’ve owned your house in Olvera for eight years now, do you have any future plans for it? At the beginning my plan was to stay in Olvera every now and then for short spells but to do a lot of other travelling – I had started to come down with a severe case of wanderlust! Since then my circumstances have changed and I now plan to spend a lot more time in Olvera. But not necessarily in the same house. I recently completed a purchase on a second, larger house in Olvera, which has a bit more space for me to have friends and family over. That probably means I will be selling the first house in the near future but I enjoyed every minute I spent there. Over the eight and a bit years since I first made enquiries, I have had loads of fantastic trips and met some amazing people along the way. Taking the plunge in Olvera is probably one of the best things I have ever done! Make sure you find a good, and independent estate agent and solicitor to represent your interests. Don’t be afraid to ask questions throughout the process, whether that’s to the seller, your agent, the solicitor or even your potential neighbours. Find out what the on-going costs might be such as council taxes and utility bills. Are they able to recommend tradesmen if you are having work done? Are they well-known locally and if so, is their reputation good? When considering the place you want to buy research its transport links – will it be convenient to get to?